We’ve watched as 3D modeling has become more and more realistic, but we’ve also really enjoyed the trend of beautifully crafted low-poly styled models. Some artists even specialize in this style, like TurboSquid artist Vitaliy Provkin, or Vilitay. 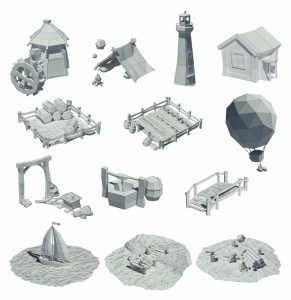 His collection boasts a large number of cute, low-poly models that would look right at home in a retro video game. Our personal favorite is the Cartoon island low poly model, which truly showcases the low-poly aesthetic. Vilitay has put together a wonderful WIP piece documenting his workflow. Rendered in 3ds Max 2012 V-Ray. The model looks great from a distance, but up close is where the true details shine. Follow along as Vilitay breaks down the main stages of his modeling process, including the construction of the base model of the island, main buildings, greenery, rocks, and clouds. 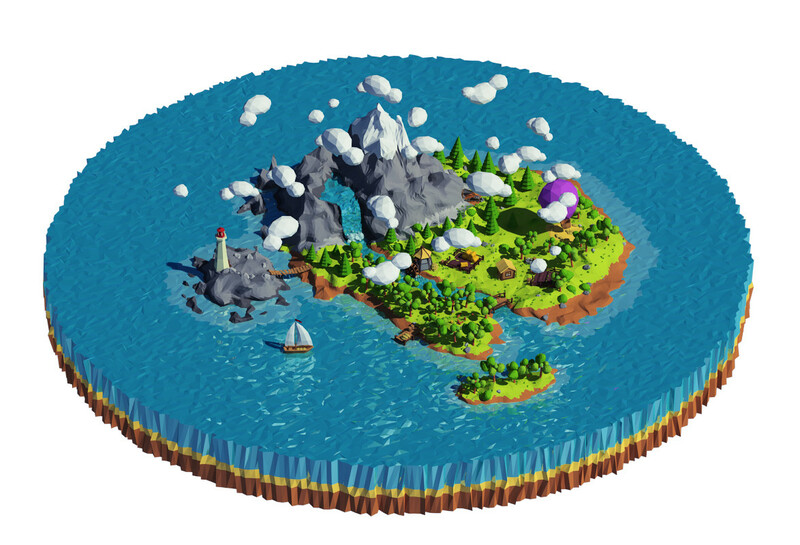 The process starts with modeling the basic structure of the island itself. 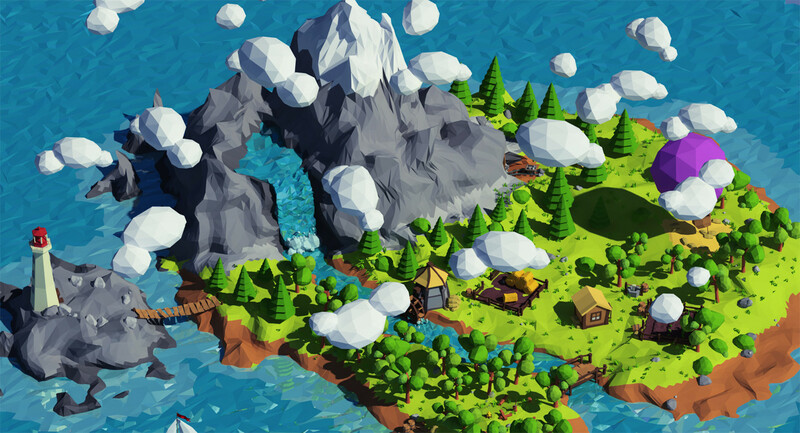 You can follow along as mountainous terrain, green fields, and water are added to the scene. Once the island’s terrain is complete, it’s on to the fun details like the lighthouses, water mills, and houses. Vilitay shows the modeling process for the house in a detailed video. 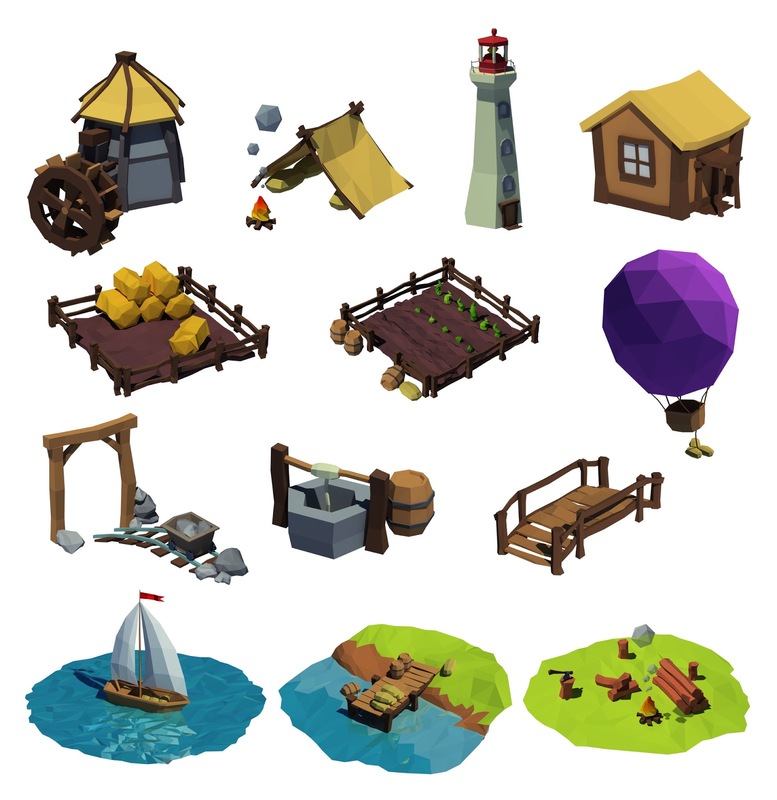 In addition to the buildings, there’s a ton of other elements that make up the island’s character: tents, hot air balloons, bridges, and mineshafts, even tiny campfires! And while most of the detail remains on the land, there is a perfect sailboat that compliments the sea. You can watch its construction below. You can take a look at the whole WIP page, and also check out Vilitay’s TurboSquid store or follow him on Facebook. If you’re an artist and you’d like to show off your WIPs or other behind-the-scenes glimpses into your modeling process, we’d love to hear about it. Feel free to drop me a line or post on the forum. Thanks for sharing. it’s such a good post. can you explain more about the 3D Modeling?